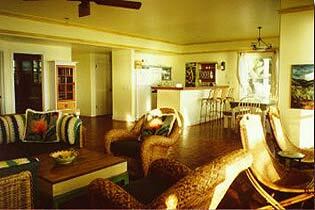 Our 1800 sq. 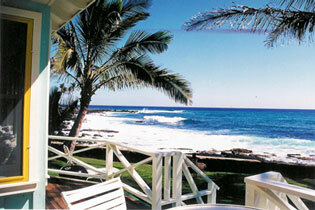 ft. oceanfront vacation rental cottage provides for the perfect private escape to paradise. 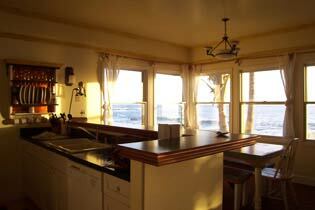 This vacation rental features an open living, dining and kitchen design and beautiful panoramic views of the ocean. 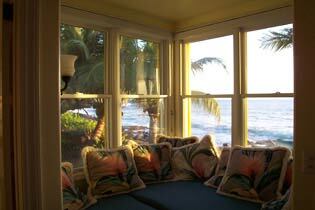 There are three oceanfront lanai (decks) and two oceanfront window seats with throw pillows. 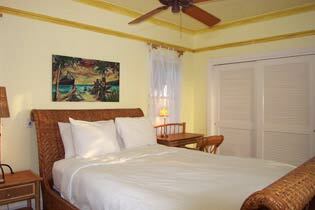 The master suite features this romantic wicker sleigh bed, a Simmons Beautyrest queen bed, fine linens, and a spacious bathroom with an oceanfront 6 ft. whirlpool tub and separate shower. 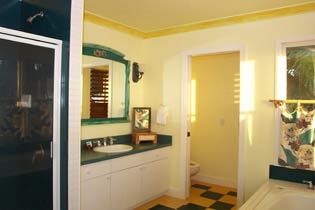 The second smaller bedroom and bathroom are located off the living area. The full kitchen is complete with a gas range and dishwasher. The private telephone line includes ADSL interest service. 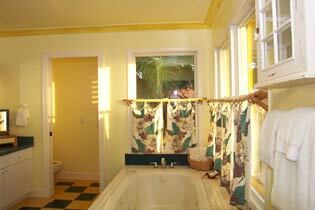 Stereo, TV with DVD player, washer, dryer, ceiling fans and barbecue. 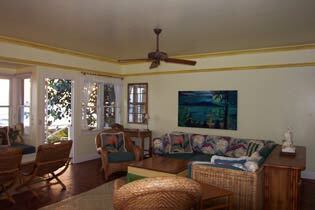 Accommodates 2-5 guests. Just the two of you? 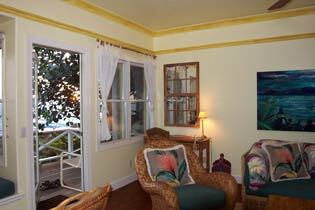 Inquire about renting this oceanfront vacation rental as a one bedroom two-bath cottage.